Any Lacey Flint fans out there? 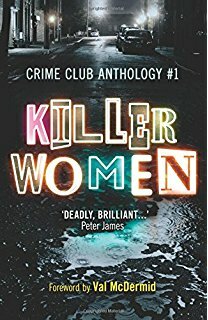 The Corpse In the Copse, a Lacey Flint tale, will feature in the second Crime Club anthology of short stories by my fellow Killer Women. Other contributing authors include Sarah Hilary, Elly Griffiths, Julia Crouch, Erin Kelly, Laura Wilson and Jane Casey.